Motivating and engaging books that will hook pupils from the very beginning. 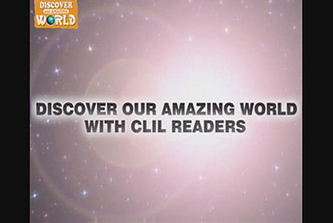 Encourage young readers to further explore the world around them. Strengthen young learners' critical reading skills and strategies. 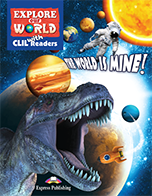 Gripping texts, vivid illustrations and stunning layouts that captivate pupils. Fast Facts that instruct, spark the pupils' interest and heighten their curiosity. A fascinating myth, story or legend in every reader to capture the imagination of today's young learners and offer a different perspective of the topic. Appealing activities, portfolios and projects that consolidate and extend the children's language and content learning. Clear and visually appealing explanation of the main vocabulary through either a Picture Dictionary (Levels 1-4) or a Word Bank (Levels 5-6). Teacher's CD-ROM: a helpful tool for the teacher that includes general guidelines on how to use the readers, additional photocopiable cross-curricular material, the key to the activities in the reader as well as the Audio recordings. 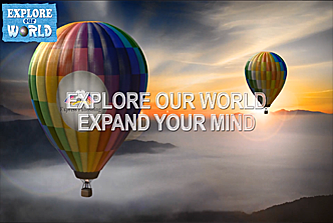 We at Express Publishing bring the world into your classroom and send young curious minds on a journey of exploration! 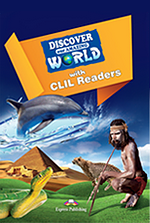 Express Publishing Discover Our Amazing World Readers is a brand new series of non-fiction titles which introduces learners to exciting topics related to our world. Learners enjoy the text as a reading text in several chapters with stunning photographs which help learners follow the story. Each chapter is accompanied by language activities to help comprehension and develop critical thinking. The accompanying Multi-ROMs provide a fully-dramatised recording of the text as well as a key to the activities and authentic documentary-style videos followed by exercises to expose learners to real use of the language and prepare them for life outside the classroom.